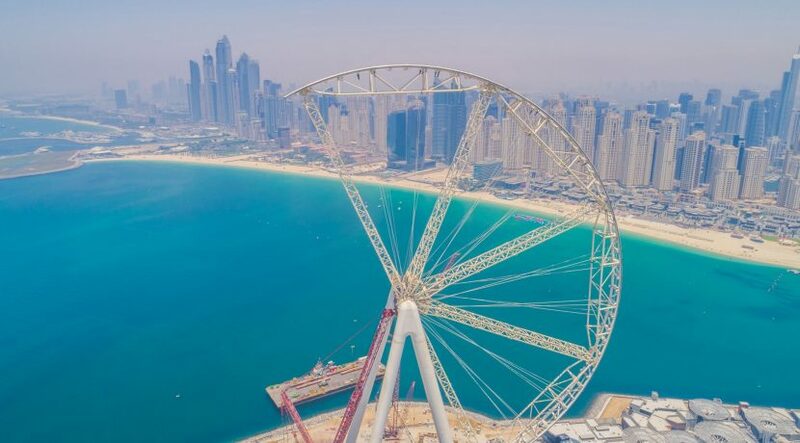 Dubai: Ain Dubai – the largest and tallest observation wheel in the world – is now halfway complete. On Wednesday, Meraas confirmed the installation of the fifth of eight 107-metre sections of its wheel rim. The wheel rim is one of the most striking features of Ain Dubai and is now clearly visible at Bluewaters, where the landmark is being assembled. Once completed, Ain Dubai will become an iconic destination, offering visitors and residents stunning 360-degree-views of the city and its spectacular coastline. At over 210 metres tall, Ain Dubai will eclipse the 167-metre High Roller in Las Vegas and the 190-metre New York Wheel planned for Staten Island. The hub and spindle at Ain Dubai were installed in 2016 and the final structure will include around 9,000 tonnes of steel, almost 25 percent more than the amount of iron used to construct the iconic Eiffel Tower in Paris. 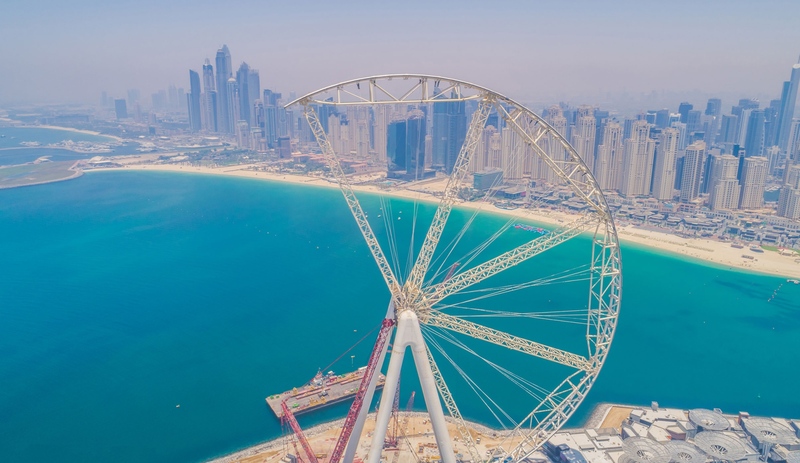 Delawar said: “With the first five sections of the wheel rim already connected to the hub, two winch devices have been fitted to rotate the wheel in a way that will allow Ain Dubai to receive the sixth, and subsequent sections of the wheel rim. Once completed, Ain Dubai at Bluewaters will eclipse the 167-metre High Roller in Las Vegas and the 190-metre New York Wheel. “Each rim section weighs roughly the same as two Airbus A380 aircraft and must be rested on five temporary support structures connected to the hub, as well as two 115-metre spokes,” he added.